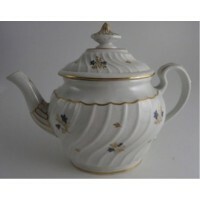 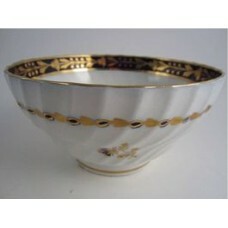 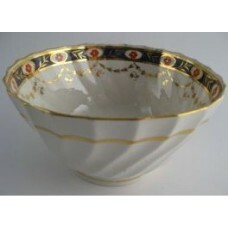 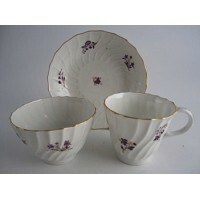 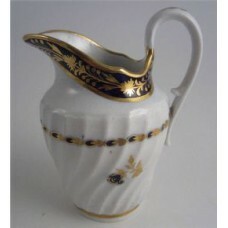 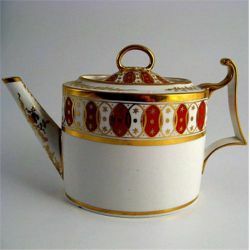 A variety of manufacturers that are not covered by specific factories, this includes items from the Chelsea, Chelsea-Derby, Liverpool, Lowestoft, Coalport, Spode, Minton, etc. 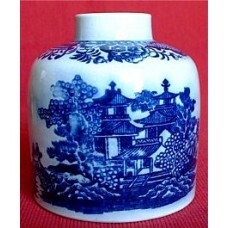 'Crown Staffordshire Porcelain Co.' Lid, decorated in Imari style in deep blue, orange and rich gild..
A charming 'Pearlware' tea canister, printed with blue oriental scenes including two men..
A delightful Eighteenth century blue and white moulded sauce boat possibly attributed t..
A most attractive Salopian milk jug of a slightly oval section shape, with a spiral 'shanked'..
A most charming butter tub and cover, beautifully decorated with elegant flower sprigs of blue.. 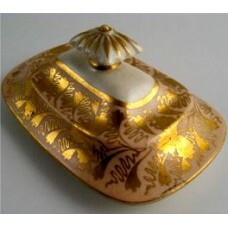 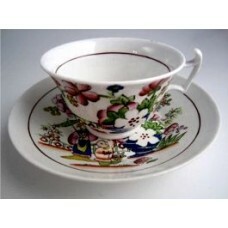 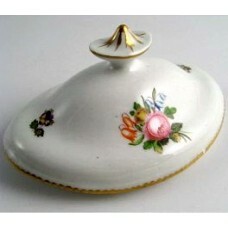 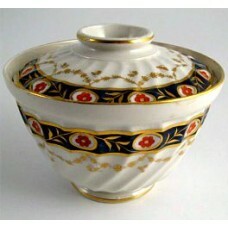 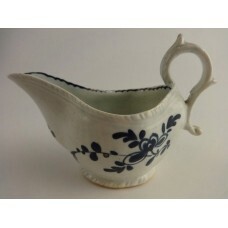 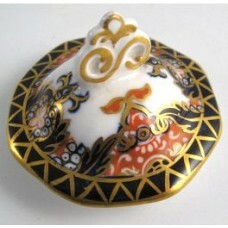 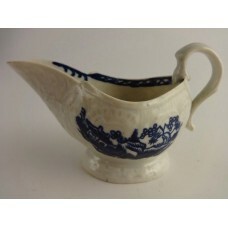 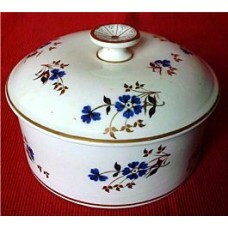 This is a very rare Factory 'X' (A & E Keeling partnership) oriental shaped sugar bowl and.. 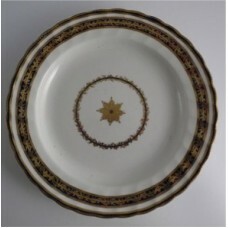 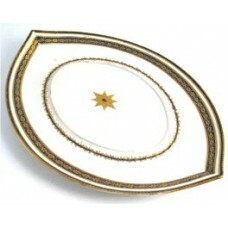 This delightful Keeling (Factory 'X') slops bowl has a shanked body (spiral moulded flu..
A most attractive Salopian slops bowl, with a spiral 'shanked' moulded body decorated wit..
A delightful Derby plate of elegant design, decorated in fine cobalt blue and rich honey coloured ..
A rare Derby 'soup tureen stand' of elegant oval canoe shape, c1795. 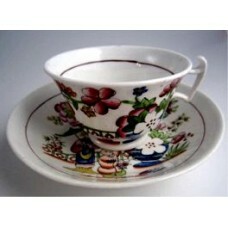 This lovely stand is marked w..
A very pretty Hilditch teacup and saucer, beautifully painted with an oriental scene of a 'boy..
A very pretty Hilditch teacup and saucer, beautifully painted with an oriental scene of a '..